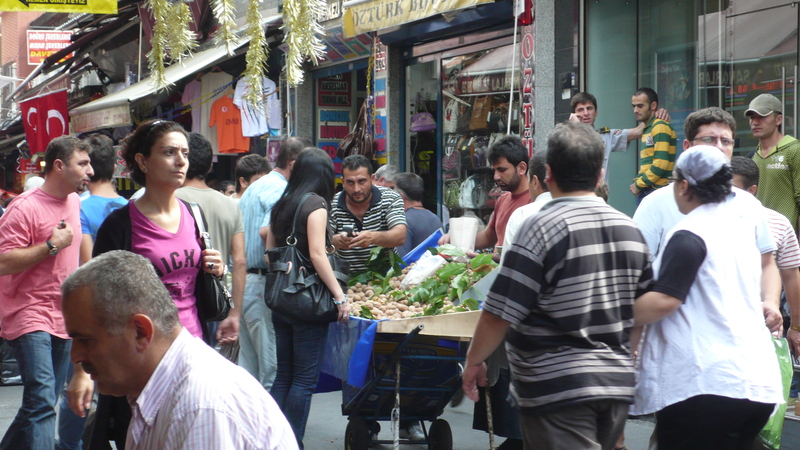 Markets satisfy all sorts of curiosity, whether new fruits or the way something is packaged. What is offered provides a sense of what is valued and what is available. I imagine how a product might be used, how it evolved, or its potential future…It also pushes me; would I be willing to try something unfamiliar?I remember traveling with my sister as a young woman, her first inclination was to go to museums and mine was to shop. At the time I felt guilty about my behavior identifying only with the materialistic aspects of shopping. Over time I began to realize my interest had more to do with exploring and identifying with the current and future culture. Closer to home in my neighborhood I have a certain ownership of what’s available in stores. Be it eye glasses, house made sausages, or milk. We, the community draw the products to this place. I can identify with the items in a way that is familiar; regardless of whether I’d use them personally. The products are part of our support system and are connected to our identity. Online shopping can quickly fill a need, although has yet to capture me in the same way a physical place does. Not to say I don’t admire the design and experience of a good site. In general the impression I feel is that I’m connecting to a hole in space (just as it is). I don’t feel like I belong in the same way I do in a physical place; maybe because it lacks dimension, or is missing people? Currently my online shopping is usually limited to finding the best price, something not available locally, or a friend’s site. One thing that online shopping does provide that local shopping doesn’t is anticipation of arrival. I’m guessing anticipation is a powerful motivator for purchasing. All in all shopping serves a complex set of needs and desires from utilitarian to providing a sense of belonging. I’m saddened at this time of year because advertisers and the media capitalize on our ability to be whipped into an ugly frenzy. The broadcasting of our unconscious behavior brings shame to us all. There should be no shame in shopping: Shop for the right reasons. Microsoft’s CEO Satya Nadella spoke in a plenary session last week at the Grace Hopper annual conference. The discussion produced a lot of negative press about his advice to women for advancing their careers. He recommended (paraphrasing) that women should believe in the system and karma for reward. I agree with the press, it was bone head advice. That wasn’t his only mistake; reviewing Satya’s overall performance in the plenary I give him a C-. Due mostly to him seeming ill prepared to champion women. He was long on generalities. He named names of women in leadership, but didn’t discuss how they were fostered into their positions, or how the culture was changing to encourage more growth. He mentions problems, but not solutions beyond naming existing programs. The first question Maria Klawe asked was “What made you want to come speak here today?” His answer was flimsy; he said he was soaking it all in, his friend had encouraged him to go to the conference to get a feel for what it means to stand out (among women). .. Are you kidding me? This is the response from the CEO of a major tech company at a major tech conference for women? Was he not briefed by his event or PR people prior? When asked about how to inspire women in tech, he spoke about the importance of being comfortable, confident, and passionate about their individual excellence. I thought, ok this is a reasonable start. Then he spoke about how each of us has super powers we should exercise. He did this without really defining what he meant by super powers. He went on to tell a story of a learning moment (super power?). He was in a job interview and was asked what he’d do if he saw a baby fall. He seriously suggested calling 911. It’s a funny story about how he lacked empathy at the time. That said, this is how he wants to inspire women? Perhaps his next learning challenge is contextual appropriateness. Maria guided him at times in the conversation recommending different ways to better connect with women. For example not using the term “boot-camp” for a re-entry program after coming back from family leave, or talking about tracking, re-evaluating and making changes to bad situations in order to have a better work/life balance. Circling back to his advice for career advancement, he mentioned a few times to believe in the system. In my not so humble opinion, continuing to believe in a system that was originally designed to support young male engineers is the antithesis of critical and agile thinking. Satya went to the conference with the hope of inspiring talented female engineers to continue pursuing careers in technology while also making valuable connections with potential candidates for Microsoft. Um, I doubt this conversation will do that because instead of being jaw dropping awesome, he was just “meh”. Enough bashing Satya, the conversation wasn’t all bad. He was articulate about how today is the best time to engage in tech because we have the best tools for creating positive world impact; the role of tech is touching all economies and enabling richness in human experiences, especially mobile. He is passionate about Microsoft’s vision and how they can uniquely contribute to the world through empowering productivity and platforms that support a mobile first/cloud first world for a multiplicity of interests. He had excellent advice for encouraging everyone to find both mentorship and sponsorship; someone who is willing to take a risk and back you. Hear, hear. He was gracious to immediately and publicly admit to his mistake about career advancement. On a positive note, his blunder has put the spot light on the continuing issue of gender inequality. Maria clearly champions Satya as well as everyone I’ve spoken to in and outside of Microsoft. There is great faith in him. He has a clear vision, is charismatic and has passion. And, using this conversation as an example, like any other leader he’s not great at everything. In his favor is that he seems to care about doing the right thing when it comes to encouraging women to pursue technology careers. To do so, he’s going to need the right mentorship and leadership team to support a culture that makes it so. Ultimately it’s about putting social accountability at the center of business. 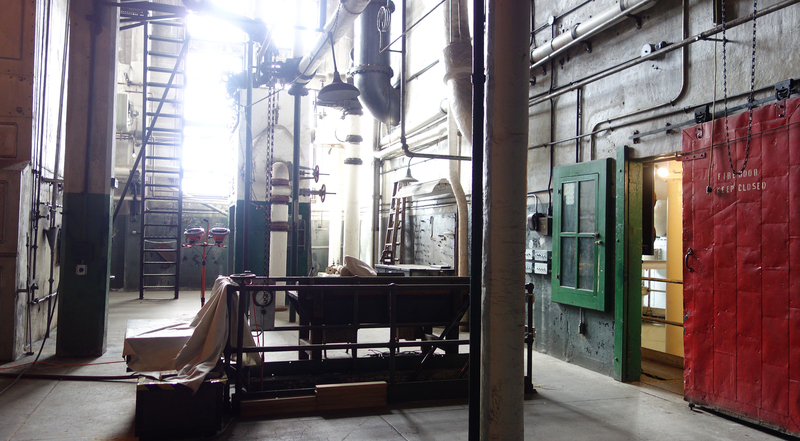 My husband and I had the treat of visiting Seattle’s old steam plant in Georgetown. It powered electricity from 1907-1970. The plant is an amazing time capsule of human ingenuity, technology and obsolescence. It is visually stunning, more photos are available on my flickr site. Details about the plant and tours can be found here. Above Killer Mike talks about our current states of constitutional rights. Noting it’s not a black issue, it’s an American issue. Thanks to all who have participated in the ice bucket challenge for ALS! The challenge is a brilliant marketing campaign bringing incredible exposure and $ to a horrible disease. Its time to share the wealth, if challenged- Please flip the challenge over to fighting racism or another worthy cause that needs equal attention; with the option of taking positive action for the cause and/or donating $. Also, it shouldn’t take a challenge to give. We should give because we love each other and need each others support to survive. Robin Williams touched so many of us with his genius. His death is a sorrowful event. Some of us seemingly have an easier time than others, although none of us can really know any other experience than our own. Depression is a cruel affliction. We still have a lot to learn about wellbeing and what makes us whole. The road to knowledge begins and ends with data. Data is the starting point. Analysis brings language, definition, context and understanding. Together, analysis and story unlock the meaning of data. Once we have meaning we return to our data with a new understanding of its value; the data is realized. Justin Lewis discusses how consumer capitalism is unsustainable. He sites that economic growth no longer has any impact on our quality of life and that consumerism interferes with what makes us happy and fulfilled as well as the negative effects on our environment. Justin Lewis is Professor of Communication and Head of the Cardiff School of Journalism, Media and Cultural Studies, and a Pro-Vice Chancellor for Research.